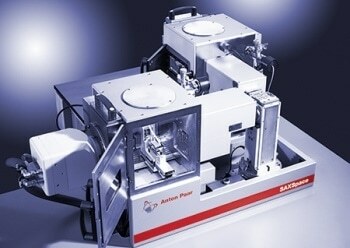 The Anton Paar Bioindenter™ is an innovative novel device used for determining the local mechanical properties of biological samples. 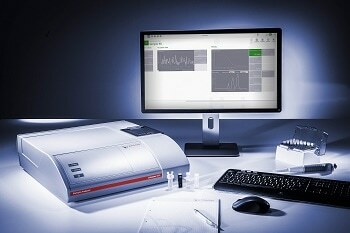 The device integrates the method of instrumented indentation (nanoindentation) with biologists’ demands for testing biological samples. 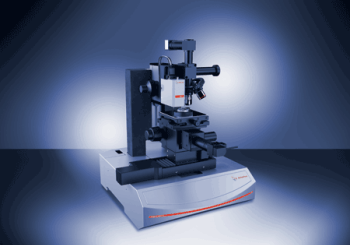 Ultra Nanoindentation technology with an extended travel range and a high force resolution is the basis of the Anton PaarBioindenter™ concept. 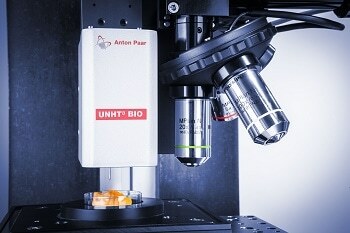 The Anton Paar BioindenterTM makes use of spherical indenters with a dedicated Petri dish holder and a long shaft specially designed for accommodating different kinds of biological samples. 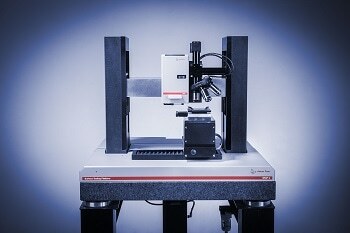 The mounting of the Anton Paar Bioindenter™ is performed on Compact and Open platforms or on a table top platform. 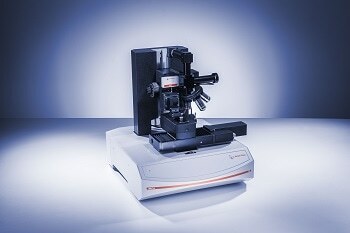 The attached optical microscope features a turret having two long working distance objectives for observing samples immersed in liquids. 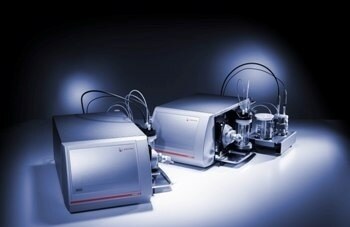 The Anton Paar Bioindenter™ includes a Petri dish holder for 35mm diameter Petri dishes. 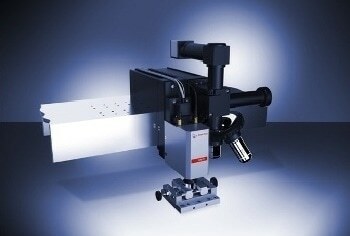 In order to maintain temperature up to 50°C, heating element with external control is available. 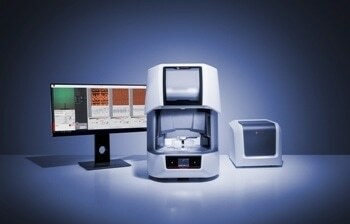 The Anton Paar BioindenterTM enables testing of different material types including biological tissue, tendons, cartilage, hydrogels and scaffolds. 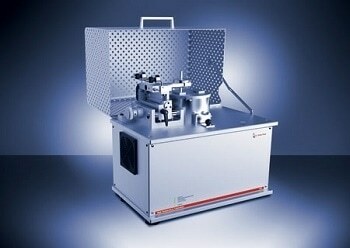 It is developed to enable measurement of materials having a Young’s modulus in the range of ~10kPa up to ~400MPa. 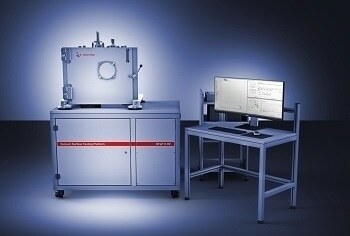 The instrument features very high thermal stability and can measure time dependent properties such as creep.